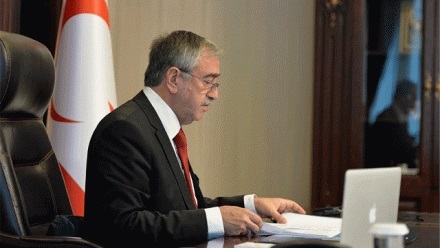 President Mustafa Akıncı issued a message regarding the armed attack on the Russian Ambassador to Turkey, Andrey Karlov. 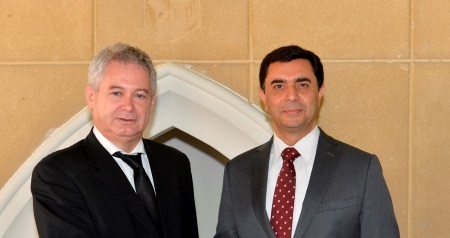 Negotiators Özdil Nami and Andreas Mavroyiannis met again yesterday as part of the Cyprus talks. The meeting started at 10:00 and lasted for around four and a half hours. Implementation of the settlement and EU issues were discussed at the meeting. This entry was posted in News and tagged Andreas Mavroyiannis, Andrey Karlov, Özdil Nami, Cyprus negotiations, Mustafa Akıncı, North Cyprus, TRNC. Bookmark the permalink.